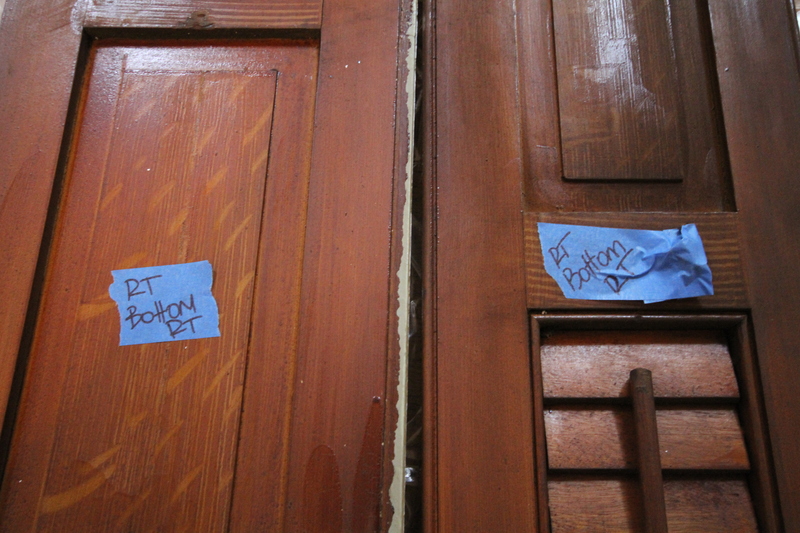 First we removed the shutters and labeled them so that they can go back in the correct location. They are probably interchangeable, but didn’t want to risk it. Cue the tools: PeelAway6, Mineral Spirits, Denatured Alcohol and a variety of scrapers, brushes and small metal tools that will help get paint off the small crevasses. And gloves. You’ll need many pairs of gloves, as they quickly get sticky and unusable. The next step is to apply a generous layer of PeelAway6. I have tried all the other non-toxic products and PeelAway6 seems to work the best. It’s a bit hard to find these days, as Home Depot doesn’t seem to carry it anymore. As the chemicals react with the paint, you’ll see some bubbling. The shutter on the left is almost ready to peel, while the one on the right still has some time to go. 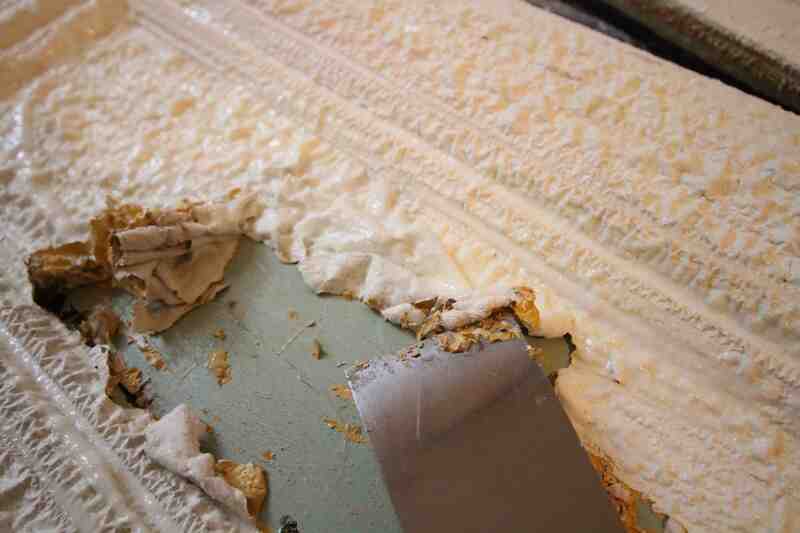 Once the surface is nice and blistered, use a scraping tool to peel off the paint. 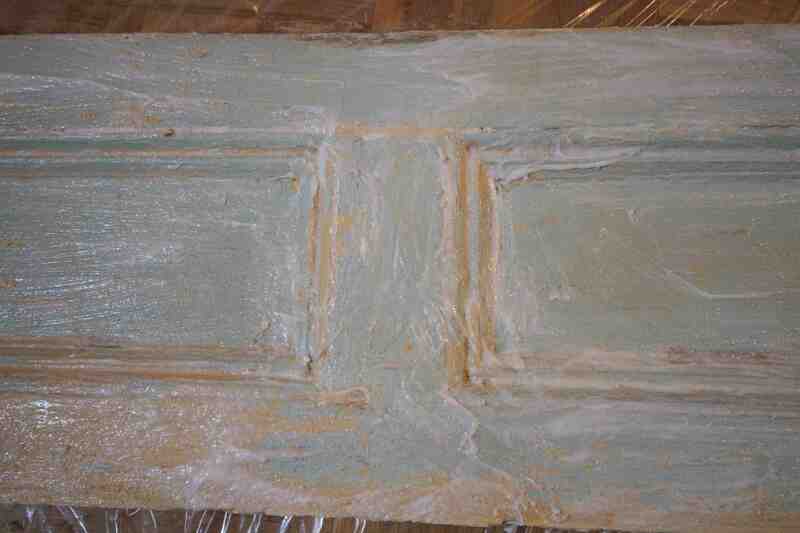 In this case, there is an almost intact layer of paint below, which will require a second application. Using the scraping tool and a hard bristle brush with mineral spirits, you’ll eventually get to something like this: the first few layers of paint cleared up, ready for a second application of paint stripper. After three applications of paint stripper, the shutters look like this – it’s one of those “it will get worse before it gets better.” At this stage I find it’s actually more effective to use denatured alcohol to remove the last stubborn bits of paint. 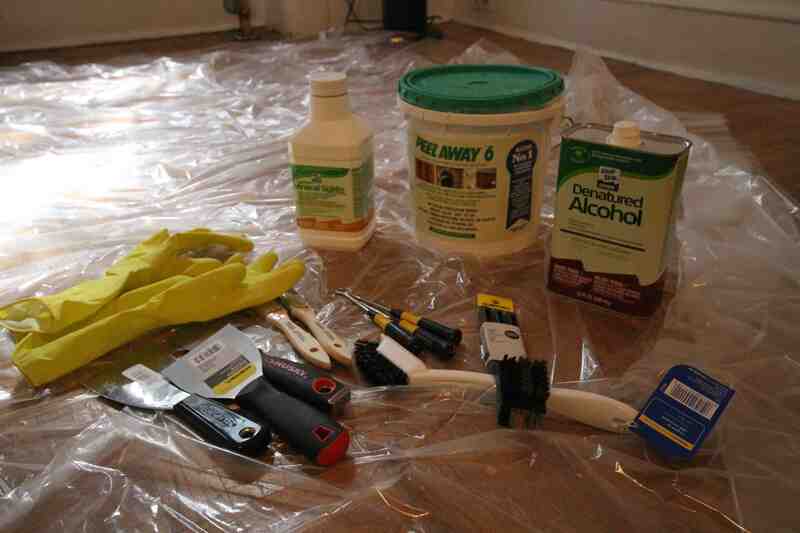 For bigger clumps, however, another application of paint stripper may be needed. 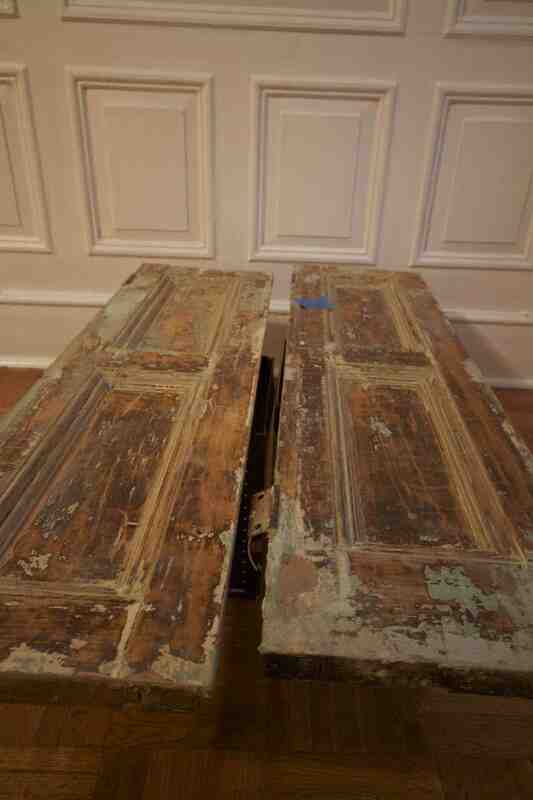 The back sides of the shutters (the side that is visible only when the shutters are open, was covered in old varnish. 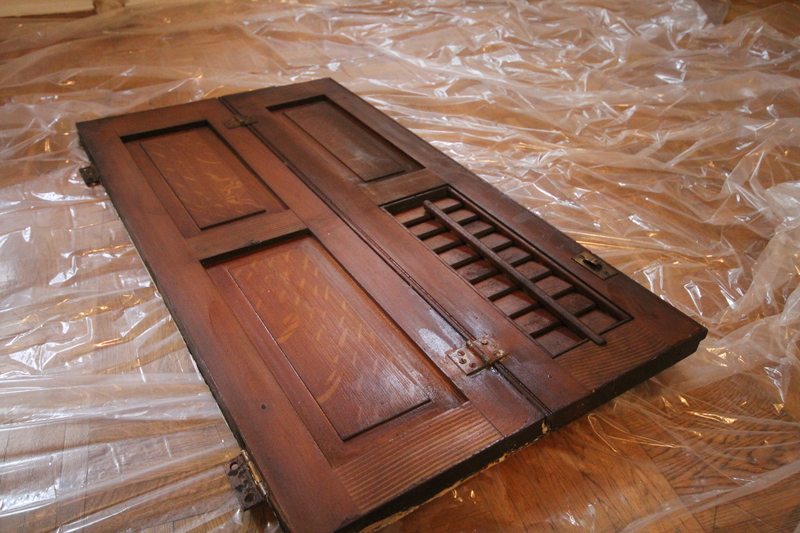 The finish has deteriorated over the years, becoming sticky and splotchy. Luckily, varnish is super easy to remove. 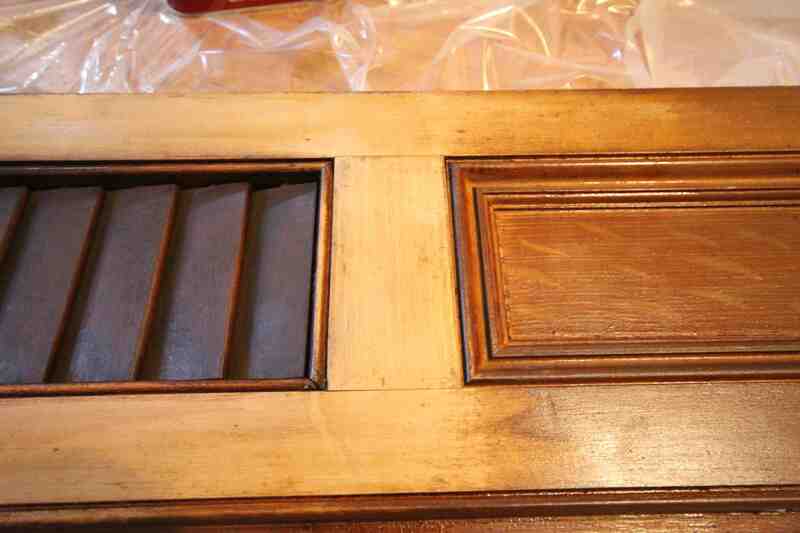 Apply a bit of denatured alcohol with an old brush and wipe clean with a rag. Here is my disclaimer: If you tackle any projects that involve old paint,you have to be aware of lead paint. 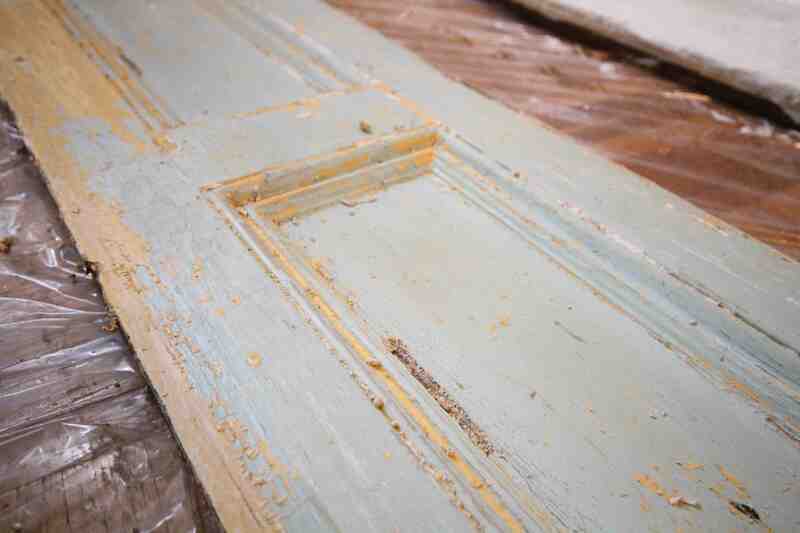 When in doubt, assume it’s lead paint and don’t anger it – meaning if the paint is in good condition, it’s safe as is and you can just paint over it. You can have paint chips professionally tested to determine whether it’s lead or not. I find that the do-it-yourself kits available at the hardware store are hard to use and the results seem to be inconclusive (at least the ones I tried). You should never ever (ever!) sand anything that contains lead paint, as it’s super bad if it gets airborne. Little bits and flakes of lead paint are also dangerous, particularly to kids. Cool – I have never heard of it, will look for some next time I’m at the hardware store. Thinking about taking our doors to Dip n’Strip in NJ (http://www.paintstrippingny.com) and have them since we have so damn many doors. Denatured Alcohol can be found at Home Depot in the paint department. I buy the Low VOC stuff so that it’s a bit less fume-y, but you still need good ventilation to use it. Works great to get rid of varnish (particularly shellack) and it also cleans up paint stripper residue quite nice. we used them – http://brownstonecyclone.com/2012/07/26/dip-n-strip/ they were great but gets pricey if you have enough shutters. just discovered your website! Really, really funny! 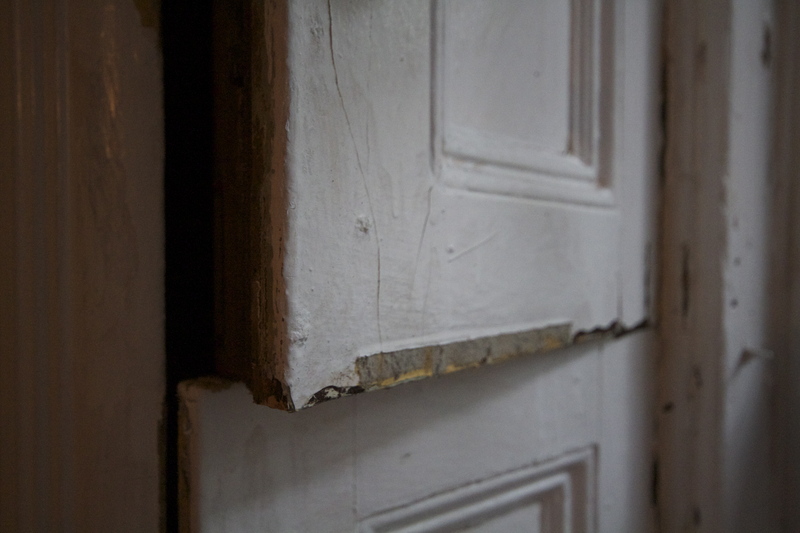 Can you recommend someone professional who does the paint stripping? 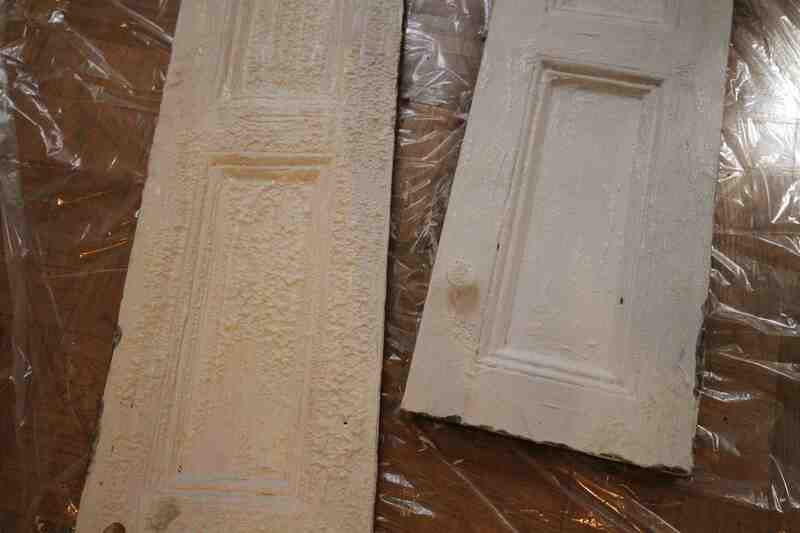 We are ready to embark on paint stripping all woodwork from the parlour floor, before we renovate. Hi Lyuba. Send me an email to pink brownstone (at) gmail (dot) com and I can send you the info I have.